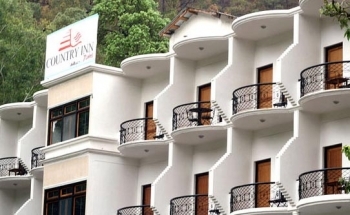 Country Inn Sattal Resort is located in Uncluttered, verdant and soulful, Sattal, at an altitude of 1370 meters, is a cluster of 7 lakes placed amongst oak forests in the Kumaon Hills. Country Inn Sattal belongs to the group of Country Inn Hotels and Resorts in India. Country Inn hotels and resorts combine luxury, comfort and beauty to create spaces uniquely meant for you and your family. Country Inn Sattal Resort offers a fabulous view of the blue lakes and the green hills from the balconies of its 16 rooms. The deluxe double rooms are well appointed and offer a comfortable stay to the guest. Hotel Country Inn Sattal has a multi cuisine restaurant. 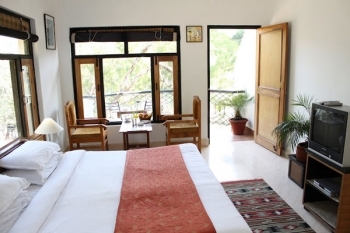 Extra Adult: Rs.2999/- on MAPAI for 02 nights/03days (with extra bed). Per Child (5-12 yrs): Rs.1999/- on MAPAI for 02 nights/03 days. - Fruit Basket/Cookies in the room on arrival. - Tea/ Coffee Maker in the room. - 02 Nights accommodation on twin sharing basis. - 02 Buffet breakfasts and 02 buffet dinners. - Family Games, Indoor Games. - 02 children below 5 yrs complimentary without extra bed. Nearest International airport is Indira Gandhi International Airport, New Delhi. 300 kms from the Country Inn Sattal resort. By Road: The Country Inn resort is 300 km from Delhi on the National Highway No. 2. Take the Delhi - Hapur -Gajraula - Moradabad (160 km) - Rampur highway towards Haldwani - Rudrapur - Kathgodam. Turn right via HMT factory to Bhimtal, Kathgodam to Country Inn Sattal is 32 kms by road. Taxis are readily available outside the railway station.